WP Multi File Uploader: allows users to submit multiple files to your website. 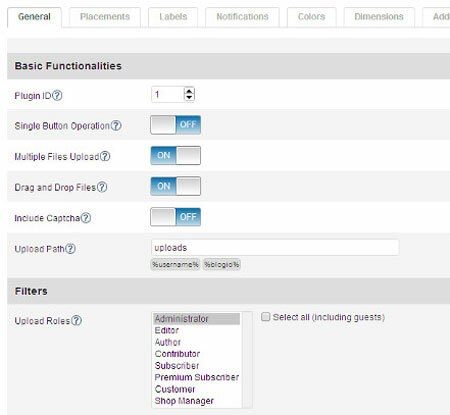 The plugin restricts file type to those supported by WordPress. WordPress File Upload: this plugin allows users to upload files to your website from any page. You just have to use a simple shortcode to get started. The professional version offers support for uploading multiple, larger files. Use-your-Drive: integrates Google Drive into WordPress, allowing you to view and manage files from a WordPress page. It also lets you add an upload form to your site to let your visitors upload multiple files to Google Drive. We have not considered letting our readers upload their files to our site for security reasons. But if you need to let your visitors upload multiple files to your site, the above plugins can help.